Many organizations unintentionally expose sensitive information to office visitors making it necessary to have visitors sign a confidentiality agreement/NDA upon entering an office. Making them digitally sign documents such as NDAs, Waivers or other Legal Agreements is a sure shot way of protecting confidential information that was meant to be kept under wraps. The need to protect information from falling into the wrong hands has become inevitable, now more than ever. Even in India there has been a surge in business’ using NDAs and waivers to keep confidential information, confidential. However, the entire process of collecting signatures, filing the paperwork and giving the visitors a signed copy is usually time consuming and resource intensive. All this changes with a Digital Receptionist at your front desk. A Visitor’s first interaction with an organization takes place at the office reception area. This is the time when your front desk staff greets your visitors and asks them to fill out their personal information in a visitor log book kept at the reception desk. This is also the best time to make your office visitors sign any legal documents. They are already prepared to fill up information regarding their visit. A quick sign to an NDA that everybody else probably has to sign, won’t take much of their time. Also, the sooner you have a signed NDA at your disposal the better. 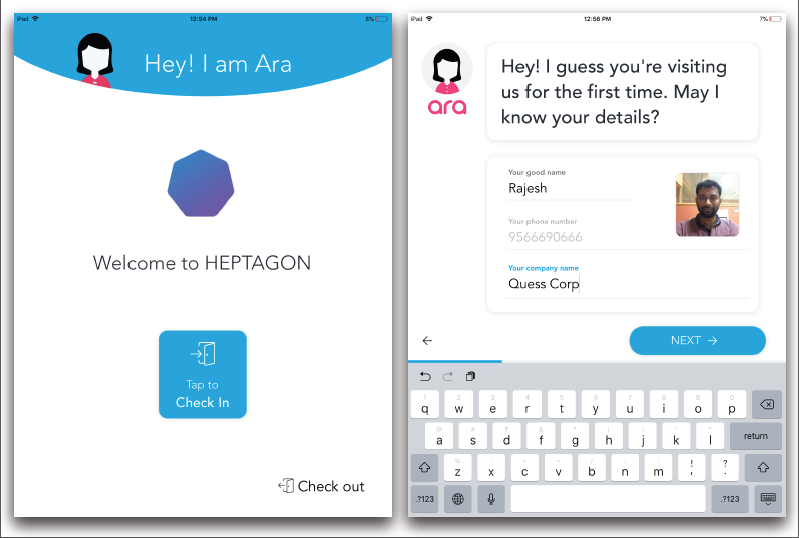 With the help of Ara – Digital Receptionist you can make your visitors digitally sign documents as soon as they arrive. Here’s how the visitor sign-in process looks like from a visitor’s perspective. 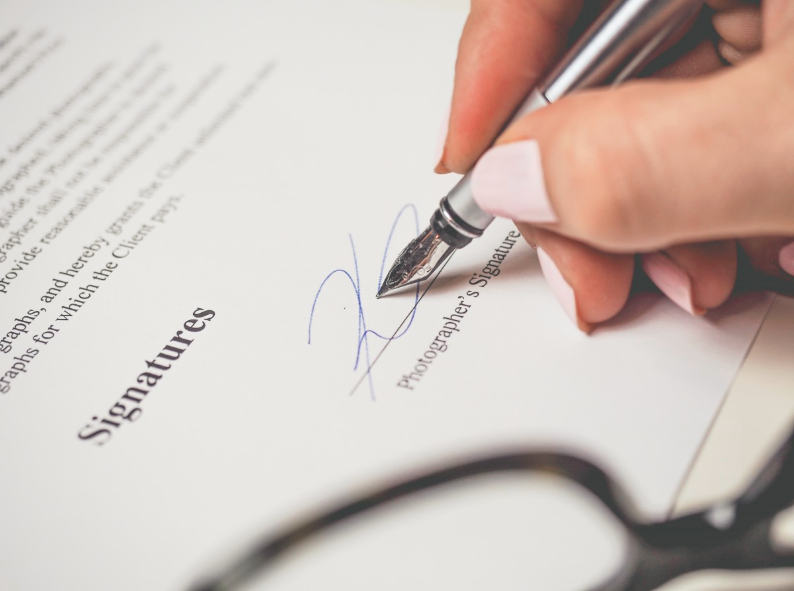 Another great aspect of a digitally signed NDA is that, if you wish to make your visitors sign an NDA, then no visitor will be able to complete the sign-in process without providing their signature. This way you can make sure that anyone who walks in your office building at any given point of time has already signed a secrecy agreement with you organization. It also conveys to the visitors that you, as the business, entrusts them with something very dear to you and in the event that they violate the trust then the only choice will be to face the rule of law. Apart from these, hard copies of documents are never found when needed. Hence companies are advised to keep an electronically signed copy of the same on the cloud. Having documents on the cloud has its own set of benefits which we shall see below. Since there is no ink involved you get to customize the NDA as you deem fit. Ara comes with the option to add/edit any NDA templates or to create one from scratch. You can also use the standard NDA template or replace it with support waivers or safety documents. Easily configure NDAs for various visitor types from your dashboard. This means that if your visitors need to digitally sign a different document according to their reason for visit, then there are options to do pre-select documents according to visitor type from your dashboard. For business’ that don’t want to make their visitors sign an NDA, the sign-in process becomes even more seamless. 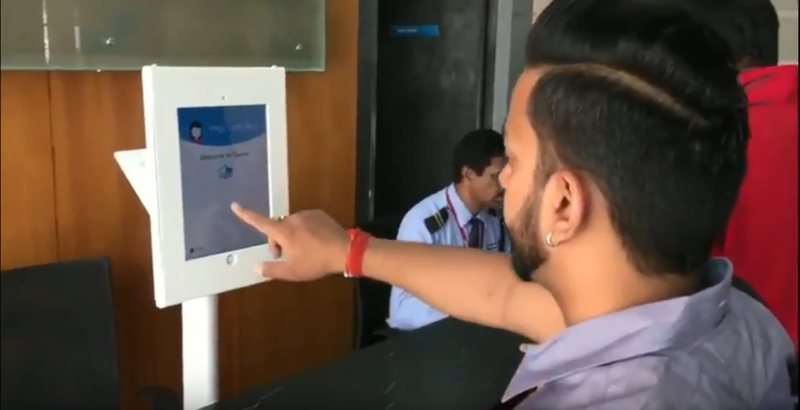 Ara captures visitor’s information notifies host and gives a badge to the visitor at that very instance – all without the need to digitally sign documents. 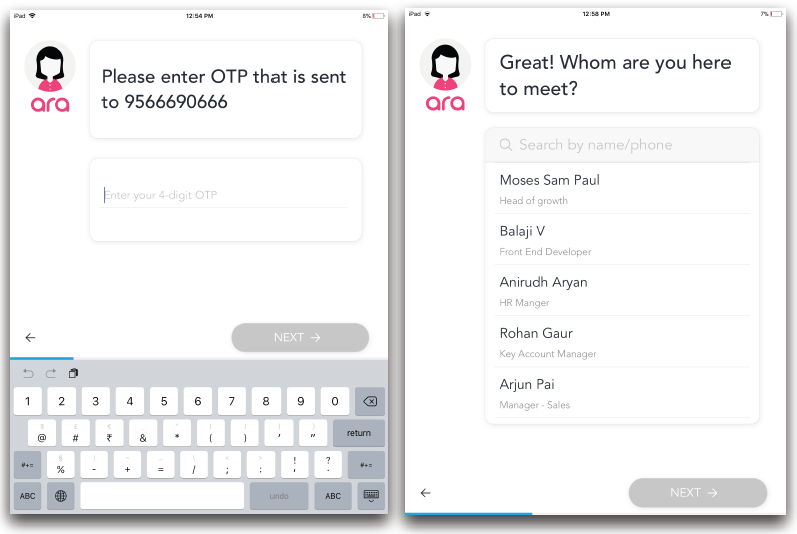 Ara automates the entire process of combining visitor’s information with their respective NDA and save it as one file. With manual documentation, attachments could go missing and hence you get the option to either save NDAs separately or have them attached to visitors details. A Digital Receptionist never forgets a returning visitor. If they’ve signed in at your office before, Ara checks to see if their signed NDA is on file. Visitors are only prompted to re-sign the NDA, if they haven’t filled it out the first time or if you’ve edited the NDA since their last visit. Note: Making every visitor sign an NDA just because you have the tools to do so, should not be practiced. It is not even applicable to every business. Remember your visitors are a treasure. Having them sign agreements only when its absolutely necessary could make them feel part of you. Also, some visitors simply detest the idea of signing an NDA upon entering an office. This gives you all the more reason to shorten the time required to get this over with. 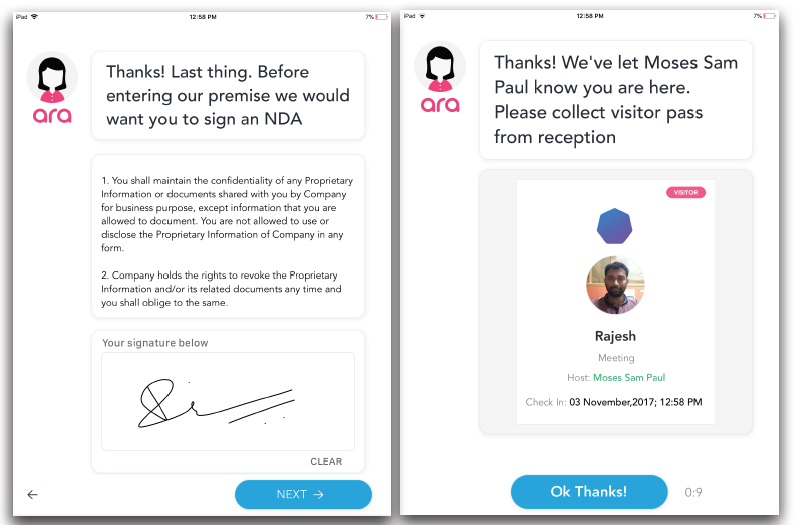 Hire Ara and give your visitors an option to digitally sign documents with just a flick of the finger.